The Martha Stewart Living Modern 3 in. Bedford Nickel Medium Finger Pull is ideal for medium-sized drawers or cabinets. This pull is made from metal for strength and is finished in Bedford nickel for a beautiful accent to the contemporary look. 3 in. center-to-center measurement. This pull is designed for easy installation. 3 in. Medium Finger Pull The Martha Stewart Living Modern 3 in. 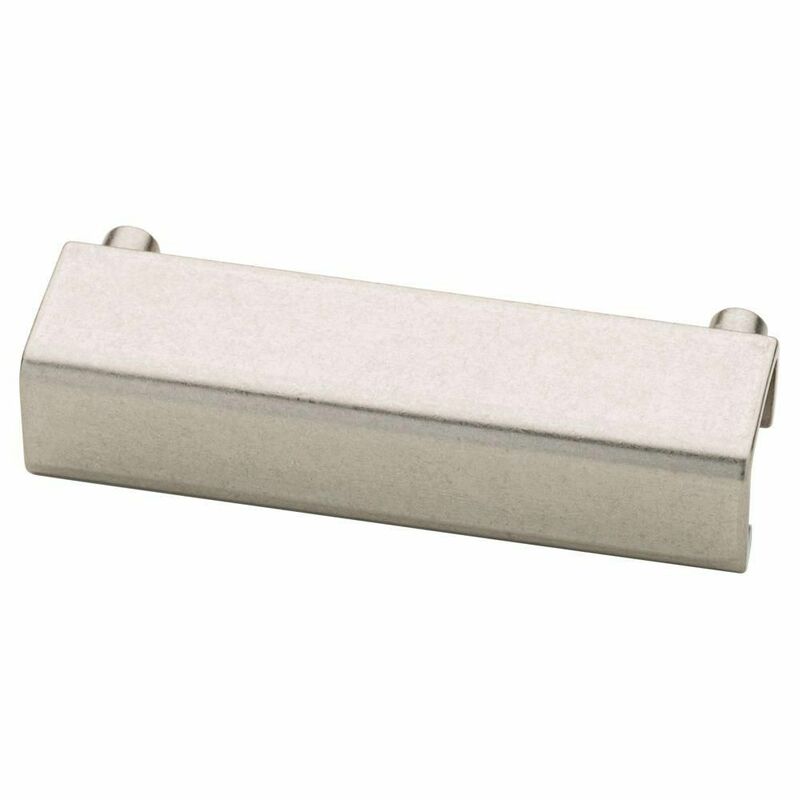 Bedford Nickel Medium Finger Pull is ideal for medium-sized drawers or cabinets. This pull is made from metal for strength and is finished in Bedford nickel for a beautiful accent to the contemporary look. 3 in. center-to-center measurement. This pull is designed for easy installation. 3 in. Medium Finger Pull is rated 4.1 out of 5 by 16. Rated 5 out of 5 by Blackjack from Perfect. As advertised. No flaws Bought these a few months ago and installed them. There are no defects in workmanship and they look great. Works perfectly. Rated 5 out of 5 by Dennis from very nice. Smooth finish. Durable.... very nice. Smooth finish. Durable. Rated 5 out of 5 by Dennis from Smooth finish, no rough edges. Good gripping space to... Smooth finish, no rough edges. Good gripping space to fit your fingers and pull. Rated 3 out of 5 by KS from Metal is a more rustic than modern. ... Metal is a more rustic than modern. Rated 5 out of 5 by perinman from This a nice pulls. They are sturdy and easy to grab. They have a satin finish which looks good.... This a nice pulls. They are sturdy and easy to grab. They have a satin finish which looks good. We are happy with them.